Remember the Slip 'n Slide from your youth? 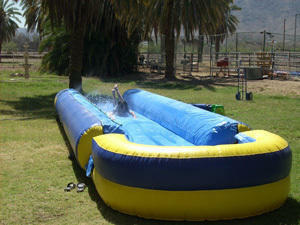 Ours is a giant version over 30' long and has a thick inflated cushion so you don't feel the bumps! Sliders end up in the Splash Zone at the end of this slide.